Australia’s hard rock quarries are among the world’s toughest environments for rubber-tyred machines. The West Burleigh Quarry has provided road base and quality aggregates to the Gold Coast area for many years. Uninterrupted supply is essential for many projects in the area. The quarrying process depends on the rubber-tyred face loader (CAT988G). Unplanned tyre failures were repeatedly compromising production schedules, with replacement tyres being expensive and difficult to source. RUD Australia was engaged by West Burleigh Quarry to provide tyre protection chains for their machinery. The face loader has now been protected by RUD tyre chains for over a decade. More recently, a further four chains were fitted to the wheel loader (CAT988G). 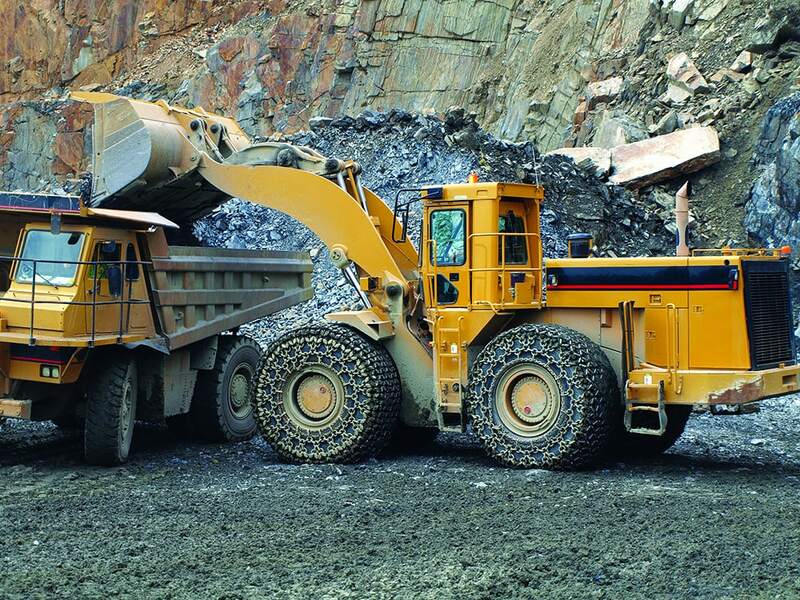 RUD Australia recommended a tyre chain that has been proven worldwide to be the best-performing chain for hard rock quarry applications. This was the FELS Gigant Plus X19 close mesh ‘extra heavy duty’ tyre protection chain. The chain provides maximum protection to sidewalls and tread areas, nearly eliminating tyre failures from rock cuts and staking. West Burleigh Quarry can now be confident that they’ll achieve maximum production from the loader and avoid unplanned tyre expenses. Traction and fuel usage have also been improved, while tyre replacements are now required nearly six times less often. We see our long term relationship with RUD Chains more as a partnership than supplier and customer. 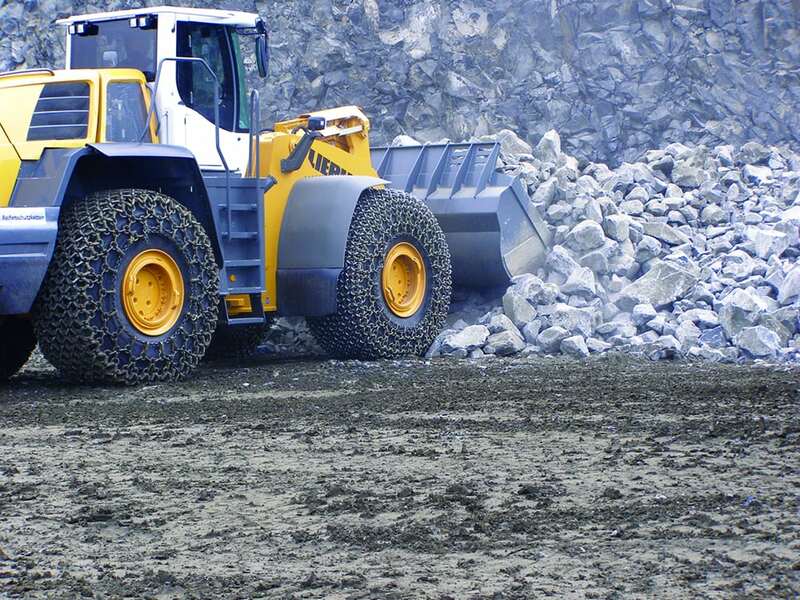 RUD’s product keeps our tyre costs down—a major expense to any quarry operation. With guaranteed production our return on investment for the chains is exceptional. Their rental option fits our operations perfectly, there are no upfront costs and we pay for the chains over their service life.